(Issue 53) We don't send spam. 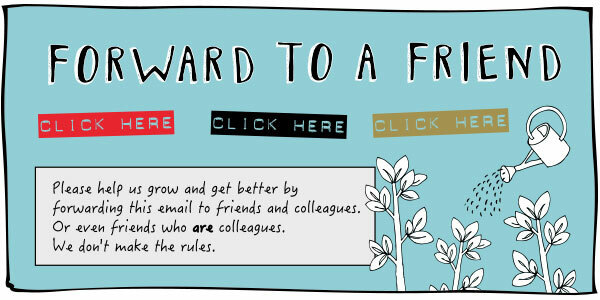 We won't give out your email address. "I didn’t realise when I shot this [above] that the original was taken in Birmingham, at the University tennis courts. 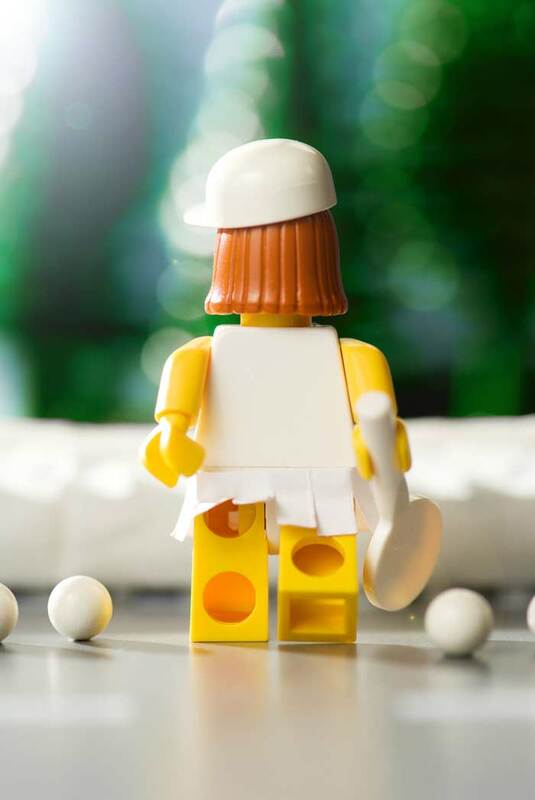 I did Lunch Atop A Skyscraper and people seemed to really like it, so I started to look for more iconic shots and obviously Tennis Girl is super famous. I had an exhibition at the Old Joint Stock theatre four years after I took this and the manager asked me if I did it because of the Brum connection. I didn’t have a clue what he was talking about." A born and bred West Midlander, Mike has no qualifications in photography and yet his work has been featured on the BBC, in countless magazines and in Legolands across the globe. 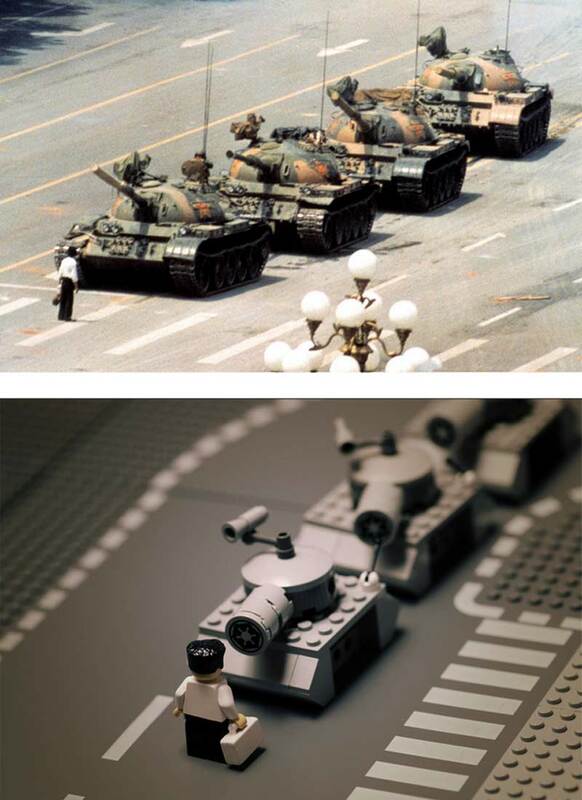 "This one [above] is of the famous Tank Man taken during the Tiananmen Square protests of 1989. The perfectionist inside me hates it every time people mention that his bag is in the wrong hand." 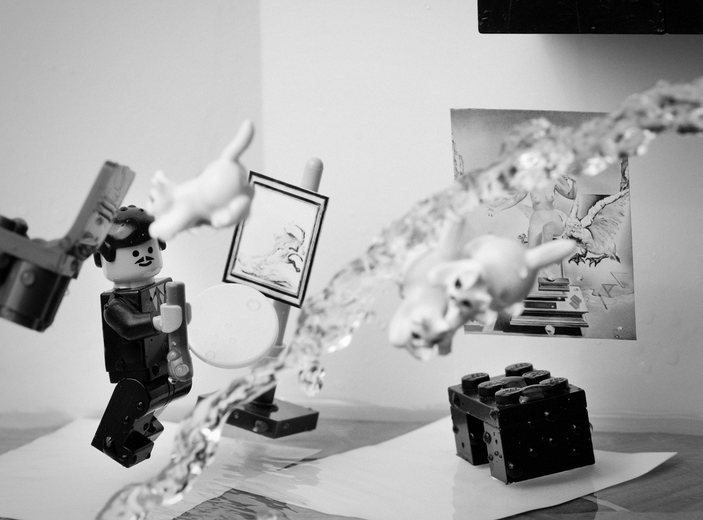 "And this one is my take on Salvador Dali's Atomicus. It was painstaking to achieve. The water coming in from the right is actually a hosepipe. 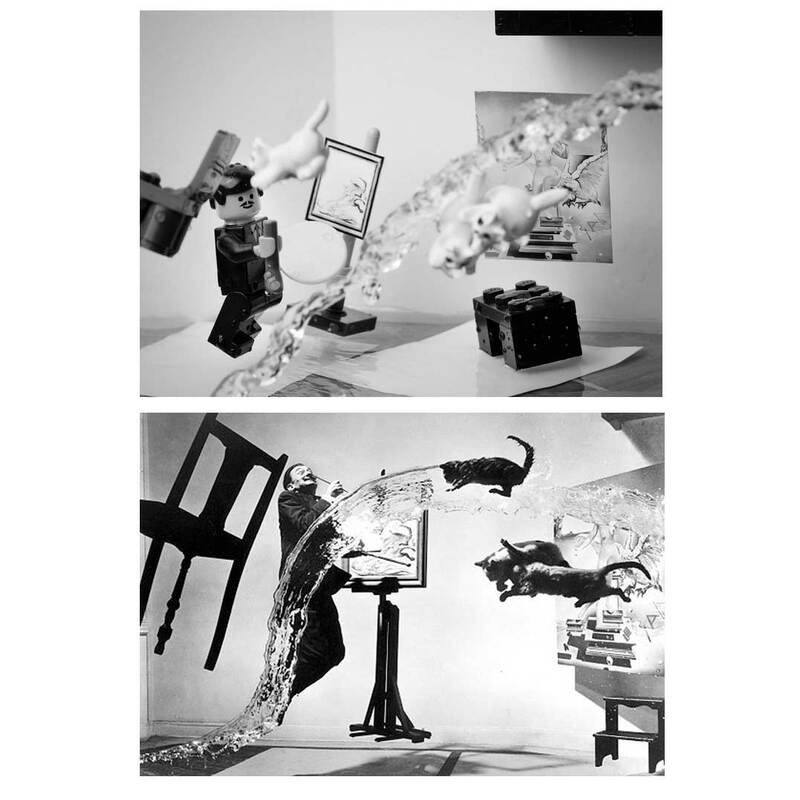 I’ve got cats on bits of cotton, other objects on fishing wire, it was all set up in my kitchen.I turned the tap on and just shot frame after frame and watched the whole scene get washed away." 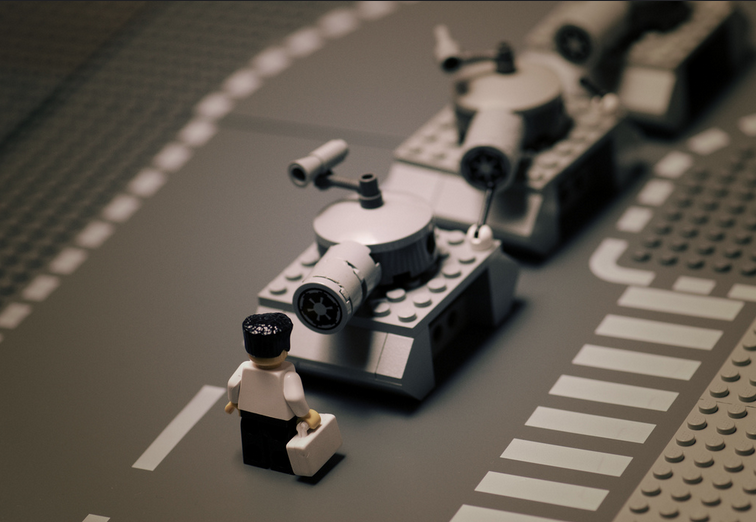 When Lego launched their Star Wars collection Mike saw the opportunity of bringing in a third passion to his work. 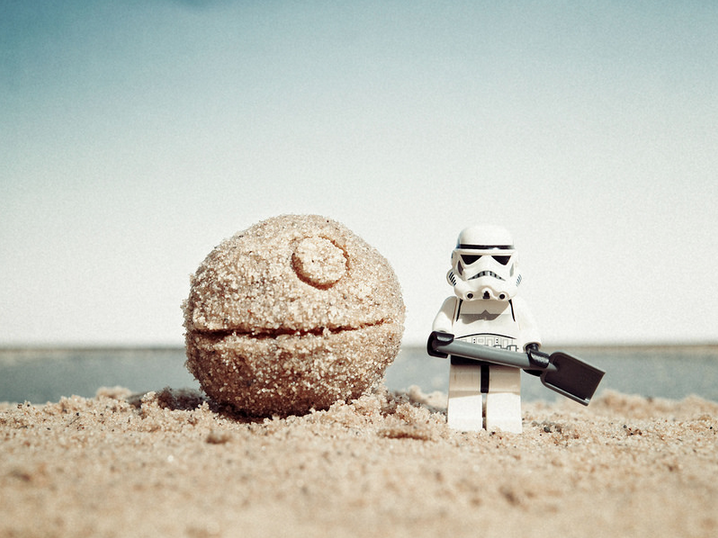 His Star Wars shots aren't tied to emulating famous moments but lend themselves instead to general tomfoolery. "This one was taken in my tiny studio at home. I say "studio", it's actually just a small corner of a spare bedroom. The Death Star is a ping pong ball onto which I scored detail with a cocktail stick and then stuck sand on. They’re on a baking tray and the "sea" in the background is actually the far end of that tray. A piece of paper provides the sky." Mike often takes set up snaps to show how he achieves his shot. "The set up on the left shows how I achieved Darth, on the right. This is classic 'do not try this at home' territory. 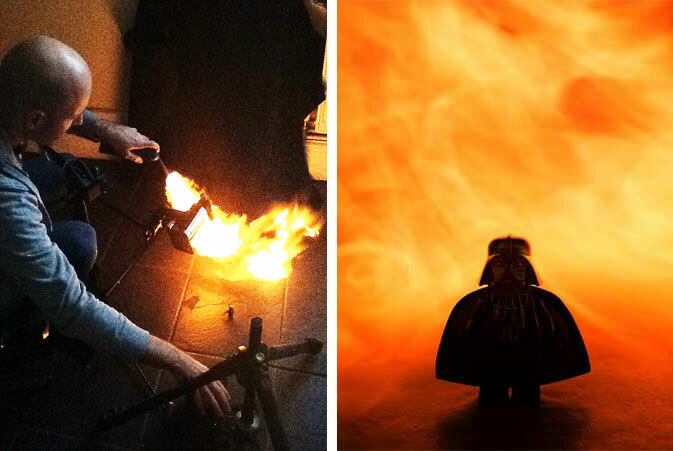 I had a creme brûlée-style blow torch clamped and turned on, and I sprayed it with a can of 70p Tesco deodorant, blasting flames onto the kitchen tiles and behind Vader, while I snapped away like mad. Seriously, don't do it at home." More of Mike's shots are at mikestimpson.com. He has prints to buy at Redbubble. Fudge is a funny word, isn't it? Fudge. Say it to yourself a few times. Fudge. Fudge. Fudge. Pretty soon it no longer has a meaning. It just becomes a sound, like a muffled sneeze. Still reading? 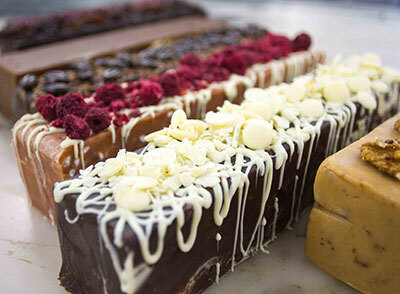 Selfridges have launched a fudge pop-up bar with the help of fudge aficionados, Fudge Kitchen. Crikey, we've typed the word "fudge" so many times and we're only half way through this piece. In the Food Hall until December 27 you'll find the artisan makers of the sweet treat demonstrating traditional fudge-making methods, while you can snaffle up bites from their pick and mix bar and its menu of more than 20 flavours including Christmas Pudding and Mince Pie fudge. To celebrate this fudge-a-rama we're giving away one of Fudge Kitchen's DIY chef kits. 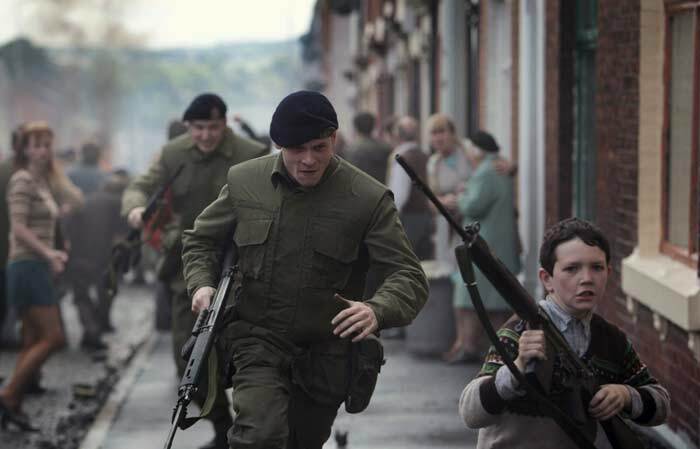 To be in with a chance of winning all you need to do is like our Facebook page. Fudge. We went completely doolally for the extraordinary photorealism exhibition that graced Birmingham Museum & Art Gallery back in November, but none of those paintings - and this is a painting - gripped us quite like Richard Garland's New York Deli (see it in detail here). 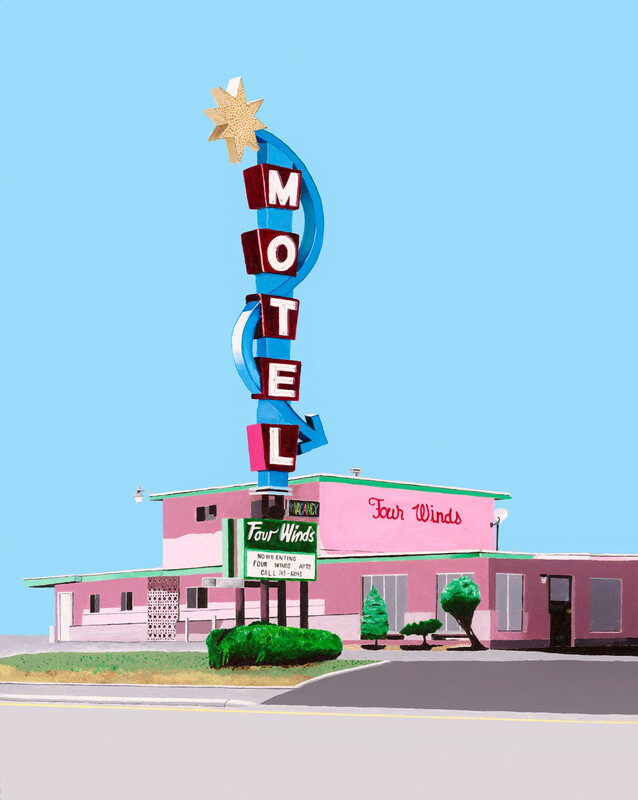 It's part of the brilliant America exhibition at Reuben Colley Art Gallery that includes work from Reuben himself and the colourful genius of I CHOOSE Birmingham favourite and pop art superstar Horace Panter. 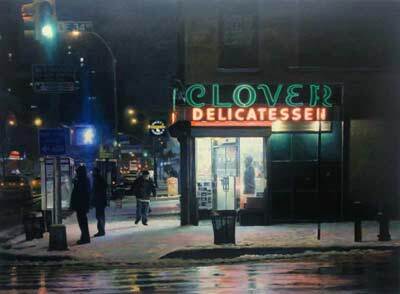 Horace actually picked out Garland's Deli painting, while visiting the gallery, saying "it blew my socks off". Priced at £9,950 every other piece by Garland, bar this, in the gallery and at his dealership in New York is now sold. 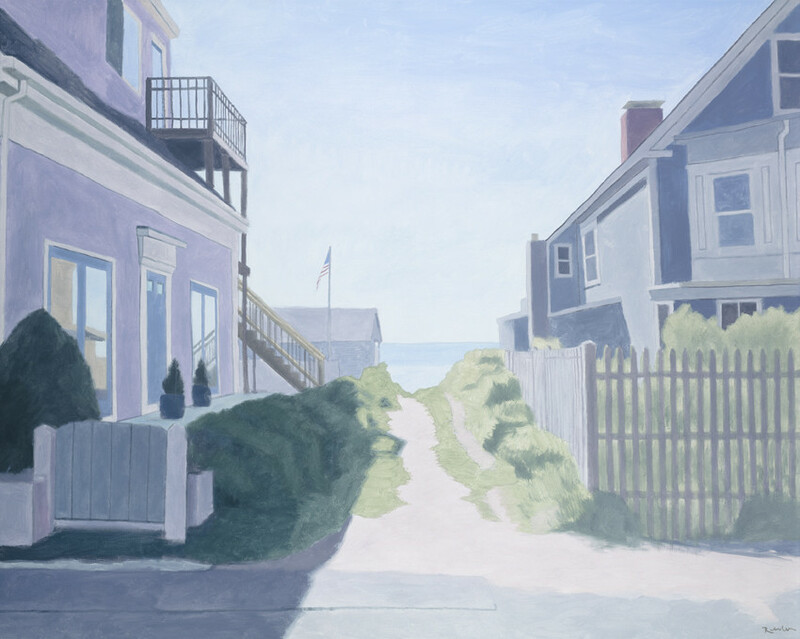 Horace's Four Winds (£3,950) is still available as well as Reuben's The Path to the Beach (£8,500). See everything this weekend, free, before it's gone. 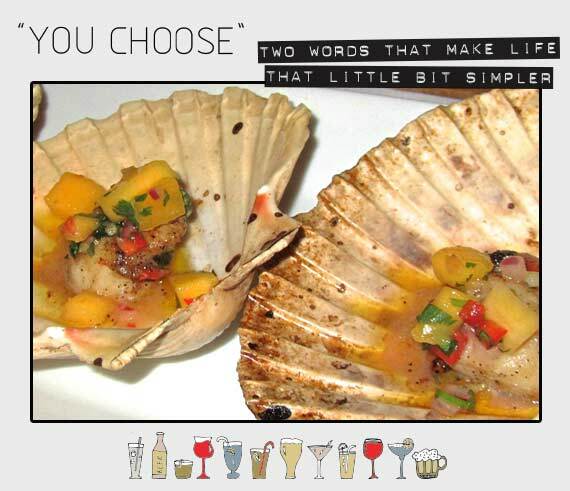 Choice: Scallops with mango salsa (£4) Chooser: "H"
Keep it on the QT, but Digbeth’s got a secret. A tangy, spectacular secret, served up with a smattering of Jamaican heat by a chef, proprietor and culinary genius known simply as “H”. In the unassuming surroundings of what was, until July, a greasy spooner, we oo-ed and we aah-ed over an ambitious yet accomplished array of tapas which included rabbit, whitebait, quail and squid. And the scallops. Oh, the scallops. Weak-at-the-knees tender and steeped in H’s fiery mango salsa, we’ve been raving about this most glorious union of fish, fruit and spice to any fool who'll listen. 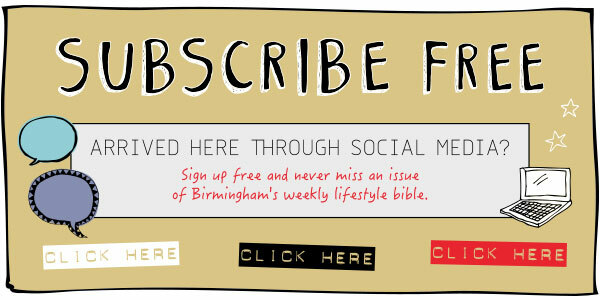 The discerning people of Birmingham: Go to Rico Libre. Open Thursday to Sunday, it's BYO and usually full, so book ahead or, you know, cry into the massively inferior plate of food you end up settling for. Your call.